Raipur(PTI): Seven policemen were killed and ten persons injured in a gunbattle with Naxals on Saturday in the Maoist hotbed of Sukma district in Chhattisgarh. The encounter took place in the worst-affected Pidmel-Polampalli area of the district when a squad of state police STF was out on operations around noon. "Seven of our troops have been martyred while at least ten injured in the encounter," Additional Director General of Police (Anti-Naxal operations) R K Vij said. Officials said the encounter broke out when the 61-strong STF squad confronted an armed Maoist squad in the south axis of Dornapal-Chintagufa area where several ambushes and killings of security forces had taken place in the past. 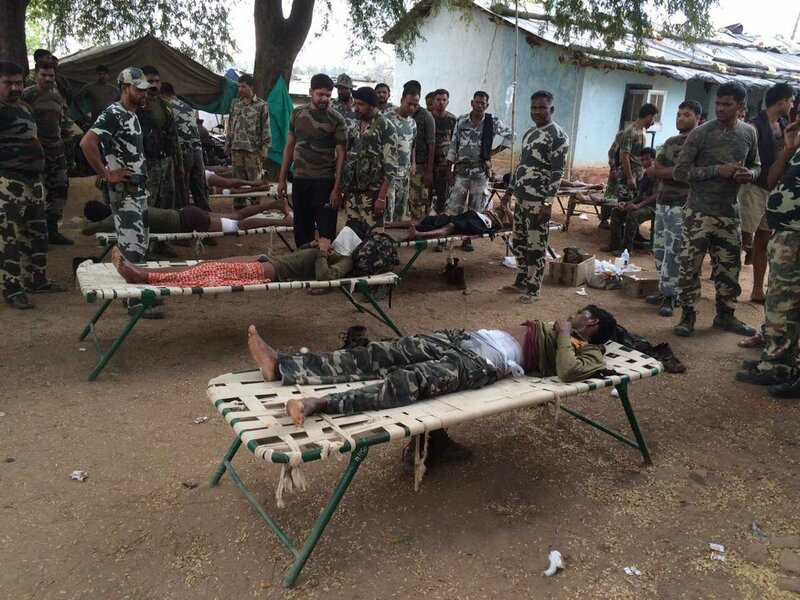 They said the injured jawans are being air moved in two choppers to Jagdalpur. The jawans, who were killed sustained bullet injuries and more information is awaited, they said. Two teams of Central Reserve Police Force have rushed to the ecounter site for assisting the police squad and launching 'cordon-and-search' operations, they said. The killed policemen have been identified as Platoon Commander Shankar Rao, Head Constables Rohit Sodhi and Manoj Baghel, Constables Mohan V K, Rajkumar Markam, Kiran Deshmukh and Rajman Tekam. Congress President Sonia Gandhi on Saturday expressed grave concern over continuing Naxal attacks in Chhatisgarh in the wake of killing of seven policemen in a fresh incident in Sukma district. Extending her condolences to the families of the policemen killed, Gandhi hoped that authorities were taking appropriate measures to ensure adequate compensation and treatment to the injured. Reports from Raipur had it that seven policemen were killed and ten persons injured in a gunbattle with Naxals in the Maoist hotbed of Sukma district.